The organizations joined those from six other elite schools across the country pledging that they won't accept funding from law firms that require employees to sign mandatory arbitration agreements, nor will they promote those firms to their members. Women’s associations from eight elite law schools, including Stanford Law School and University of California, Berkeley School of Law, are joining the fight against forced mandatory arbitration among legal employers. The groups released a joint statement Monday calling for an end to such agreements within the legal profession, which they say advantages employers by eliminating litigation as an option for employees who have been subjected to discrimination or other workplace misconduct. The statement was signed by board members of women law student associations at Stanford; Berkeley; Harvard Law School; Yale Law School; the University of Pennsylvania Law School; the University of Chicago Law School; Cornell Law School; and New York University School of Law. The groups said they would no longer accept any funding from firms that require employees to sign such agreements or that do not disclose whether they use mandatory arbitration. Nor will the groups promote those employers to students, according to the statement. The consortium of women’s associations now joins Harvard Law’s Pipeline Parity Project in pushing firms to get rid of mandatory arbitration for employees. The student-run Pipeline Parity Project has been gathering information on which firms use those agreements, and has begun calling for boycotts of specific firms during the upcoming summer associate season. At least one of the women’s associations has already taken action on the mandatory arbitration front. The Harvard Women’s Law Association last month dropped Kirkland & Ellis as the primary sponsor of its spring conference due to the firm’s use of those agreements. Kirkland & Ellis had donated $25,000 annually for that designation. “While the WLA remains extraordinarily grateful for Kirkland’s support of this event, I believe it would be a disservice to our mission to continue providing this exclusive spotlight to the only sponsoring firm that has both declined to answer the law schools’ survey on firm use of mandatory arbitration and nondisclosure agreements, and is known to still require these provisions in employee contracts,” association president Isabel Finley wrote in a Nov. 14 letter to the firm. Kirkland & Ellis ended its use of mandatory arbitration Nov. 21, following the Harvard letter and a boycott campaign launched by the Pipeline Parity Project. But the Harvard Women’s Law Association warned that Kirkland’s abandonment of mandatory arbitration for associates and summer associates doesn’t go far enough because it doesn’t stipulate that those agreements won’t be used for all employees. Partners, of counsel and law firm staff are also at risk of workplace discrimination, the association notes in a Nov. 29 message on its website. “Today’s summer associates are tomorrow’s partners,” reads the message. A spokesman for Kirkland & Ellis did not immediately respond to a request for comment on the association’s decision to drop the firm as the main sponsor of its annual conference. Yale Law Women also vowed specific action in the newly released joint statement. It will now include questions on mandatory arbitration and other workplace practices in its annual Female & Family Friendly Firms Top Ten Report. Finley said in an email Monday that she believes firms will take notice now that the women’s associations have banded together because their events are one of the primary ways firms interact with female students and begin the recruiting process. 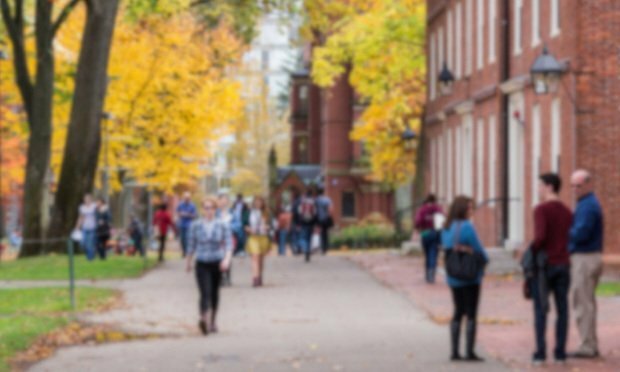 “In our case, that means sponsorship of the [Harvard Women's Law Association] grants a firm access to over 320 Harvard Law women—and so the power of pushing back on coercive employment practices is certainly greater if the recruitment population that a firm has to lose is both much larger in number and spans law schools across the country,” she wrote.